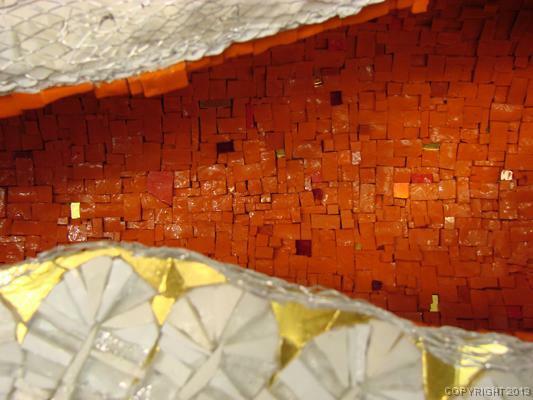 Lynne Chinn is an award-winning contemporary mosaic artist out of Dallas, TX. Trained in graphic design and fashion illustration, she worked as a magazine art director before moving on to abstract oil painting and finally, mosaic art. When Johannah first began working in mosaic, Chinn was one of the first artists working in this ancient medium to catch her eye as someone doing something remarkably different and interesting. The fluid forms, rich texture, vivid color, and impeccable craftsmanship come together to create something altogether modern yet timeless. 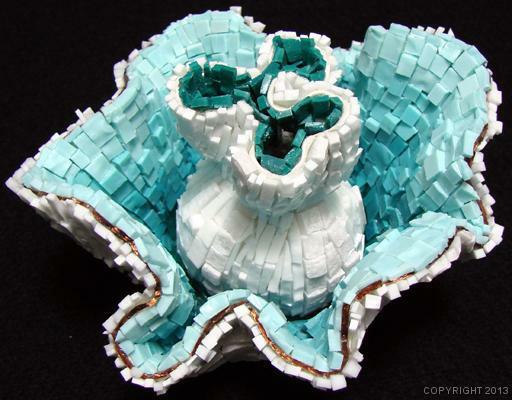 In 2008, Johannah and Kyle were thrilled to see Chinn's work in “Inspired By: Contemporary Mosaics and the Historical Tradition,” an exhibition of current mosaic work at the University of Mary Washington, curated by JeanAnn Dabb, herself a mosaic artist as well as mosaic art historian.